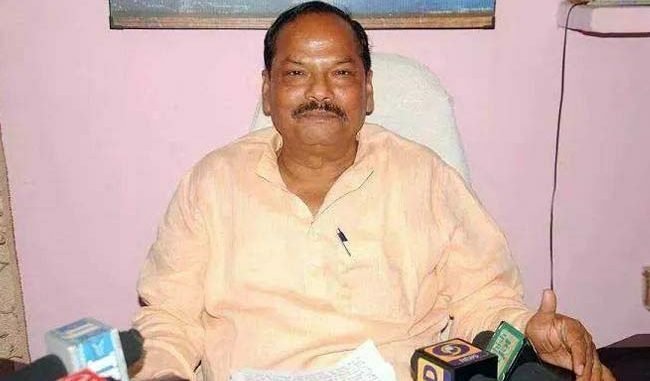 Ranchi: Chief minister (CM) Raghubar Das on Friday launched the portal of the state level bankers committee (SLBC) to fill education loan forms online for Scheduled Tribe and Scheduled Cast students.He chaired the 59th meeting of SLBC and asked the banks to be serious about doling out loans under the Pradhan Mantri Mudra Yojna and also expressed dissatisfaction over the present rate of disbursements. Das said that tribals should not be left to depend on farming alone and banks should consider their applications for loans.During the meet he felicitated injot sakhi mandal of Gumla, ganga aajivika sakhi mandal of Palamu and radha aajivika sakhi mandal of Pakur for excellence in performance by adding more women with livelihood models.Jharkhand state livelihood promotion society under state rural development department launched the model to appoint members of Sakhi Mandal as business correspondents in rural areas so that they could take banking facilities to remote corners during the programme.Bank of India, rural bank and Vananchal Grameen Bank along with the district administration of east Singhbhum, West Singhbhum and Pakur were appreciated for doling out maximum loans to the women self-help groups. The CM also honoured the lead district manager of Sahebganj for his contribution in strengthening the banking services in the district.He also congratulated the banks for their effective role during demonetisation. Das said that it was imperative on part of banks to empower women and people of the economically weaker section of society.The meeting was attended by chief secretary Rajbala Verma, development commissioner Amit Khare, several department heads along with representatives of banks, National Bank For Agriculture & Rural Development and Reserve Bank of India.Chief secretary Rajbala Verma in her address said that, the bank branches did not fulfil targets of loan disbursement accountable and this incident was a let down to the government especially towards the development of the state. “The loan applications for Pradhan Mantri Mudra Yojana, Pradhan Mantri employment guarantee programme and Startup India must be disposed in time,” she said expressing dissatisfaction over the present rate of disposal.